In today’s busy world of go go go, it can be tough to have a few minutes to yourself, nevertheless the time for a fancy date with your significant other. While I find it nice to really get dressed up and go out to a nice place once in a while, I’m honestly a homebody and would prefer to just have the perfect date night at home. Date nights at home don’t have to be dull and boring with you both asleep by 9 PM on the couch, though. Instead, they can be a great way to spend some time reconnecting without being stressful because of lack of time and money. Thanks to Bellisio Foods for sponsoring today’s conversation about 5 tips for the perfect date night at home! 1. Take a few minutes to neaten up the date area. With kids, pets and general lack of time these days, it can be rather tough to keep the house looking perfect. On date nights at home, don’t worry about the whole house being mess free. Just declutter and neaten up the spaces you’ll be having your date in to make it special. 2. Get rid of the distractions. Phones and other gadgets, kids, and pets can all be distracting when you’re trying to have a romantic date at home. Put the phones on silent, hire a baby sitter or put the kids to bed early if they’re young enough and put the pets in another part of the house for the evening. These days it means a lot to take the time to interact one on one with no distractions! 3. Take the time to get a bit dressed up. No, you don’t need to get dressed to the nines. But, putting a little bit of extra effort into making yourself look your best not only will help you feel better about yourself, but will also likely have your significant other appreciative that you put in the extra effort for your date night. 4. Make it extra special. Take something that has special meaning from your relationship to build your date night upon. Some ideas are making the first dish you made for your significant other, watching the movie you saw on your first movie date, having a date theme night of your first vacation together, etc. 5. You don’t have to spend all night in the kitchen. One of the things we tend to focus on for the perfect date night is making a dish that the other really loves. Sadly, that often means spending the majority of the time in the kitchen instead of really enjoying each others company. Luckily, today there are many options out there that aren’t nearly as expensive as going out to eat, but still taste great without having to put forth a ton of effort. One of the ones I’ve recently found are the Chili’s at Home frozen meals. Mr. Savvy and I have both always loved Chili’s, so I was super excited when I saw that they now have many of the same delicious dishes we love at the restaurant available frozen to cook at home. Plus, for less than the typical price of one entree when you eat out, you can have a whole meal. Pair Chili’s at Home with a salad or other vegetables or fruits, plus a dessert to share, and you have the perfect date night at home dinner. 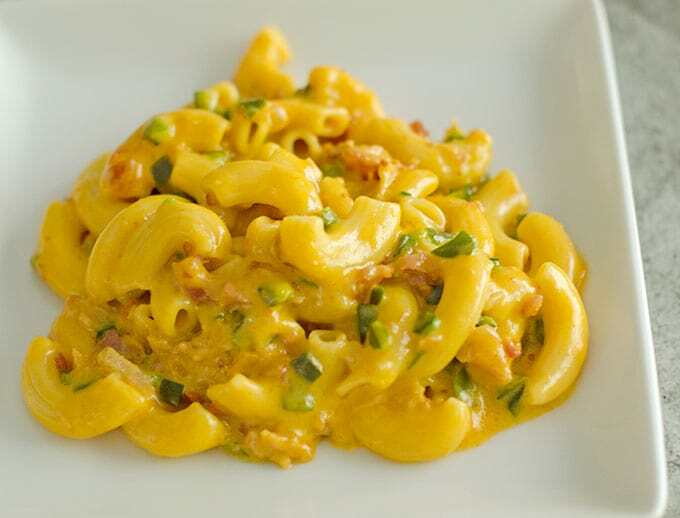 We tried both the Chicken Fajita Rice and the Bacon Mac & Cheese. 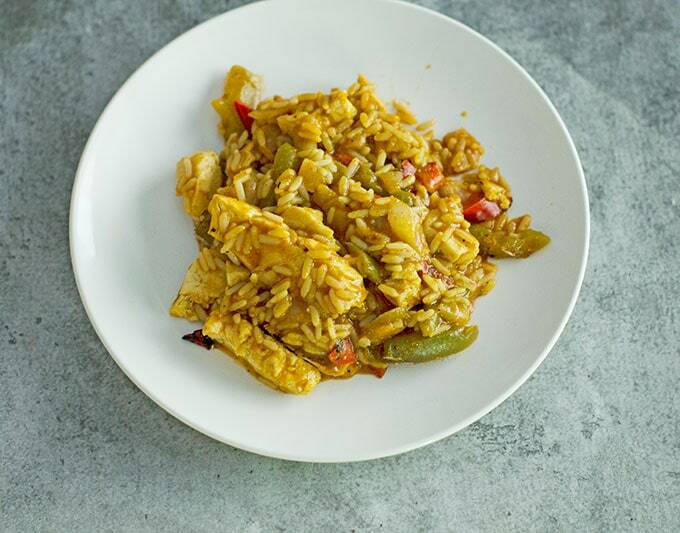 The Chicken Fajita Rice was packed full of bold flavors without being too spicy, plus you can add a bit of your own flare to it with a sprinkle of cheese on top. We both really LOVED the Bacon Mac & Cheese. I mean, bacon, helllloooo! ;) But in all seriousness, it was packed full of bacony cheesy creamy goodness that was so delicious, we might have even playfully fought over the leftovers. I know we can’t wait to try some of the other Chili’s at Home frozen meals for another date night soon! 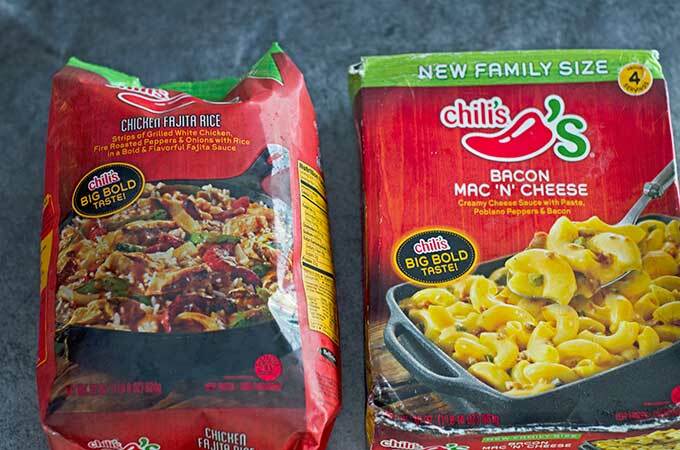 If you’d like to try Chili’s at Home frozen meals, I found them at Walmart, but they are also available at many Kroger, Safeway, Food Lion, Meijer and other stores. Don’t forget to get your $1 off Chili’s at Home coupon, too! What are some of your tips for the perfect date night at home?